We design by day and code by night. When it comes to choosing an SEO company, it is worth your time to make sure they are a good fit for your business. 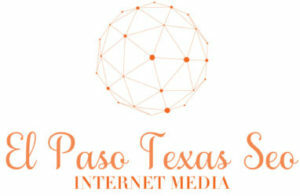 EL Paso Texas SEO is not for everyone, but we are sure to over exceed the expectations of each client that we accept. Our search engine optimization techniques are by far top notch and unlike anything seen before with the #1 rated ability to get your business ranked on the first page of Google. The world as we now it evolves around social media and so should your business. We are ready to empower your business with social signals, driving your sales through the roof. Protecting your Name and Personal Information in today’s marketing world is paramount. Protect whats rightfully yours! The Only Search Engine Optimization Tips You’ll Need To Dominate Your Market in El Paso Texas SEO and Digital Marketing. 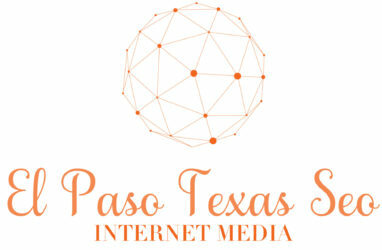 El Paso Texas SEO is something that requires a lot of attention due to it’s best practices constantly changing. Because Search Engine Optimization and Digital Marketing is so dynamic, it is a process that must be constantly monitored. In order to really succeed at El Paso SEO, a dedicated staff member or third party company should be focusing on it’s implementation at all times. That way, you are not heavily impacted when time comes for an algorithm update by the search engine providers. With that being said, by arming yourself with sufficient knowledge about what works and what doesn’t in the SEO and Web Design Industry, you should be able to maximize your chances for achieving success with ranking your website. Below, we will be going over some of the only SEO tips that you will need to dominate your market. When it comes to dominating SEO in EL Paso as it relates to your market, the primary important factor to focus on is the right keywords. You want to target the right search terms and phrases in order to capitalize on the heavy amount of organic traffic that you can get from it. The easiest and best way to do this is by utilizing free and/or paid resources in order to determine which keywords and key phrases are the most heavily searched for within your respective market. Be sure to focus on the keywords and key phrases that are going to help attract your ideal target market and not just keywords and key phrases that are related to your market. Focusing on ‘buying’ keywords and key phrases is another concentration that you should make because it is going to help increase the level of conversions that you are able to generate which is ultimately going to increase the return on your investment. Once you have identified the right keywords that you will want to focus on within your respective market, you are then going to want to research your competition to see what they are targeting. By looking to see where your competition is ranking, what keywords and key phrases they are going after, and what they might be missing, you should be able to correctly identify the areas where you can target and improve on based on their strategy. Having a good idea of what your competition is doing can really put you in an advantageous position when it comes to dominating your respective market as it relates to El Paso Texas SEO. 3. Create The Best Content. 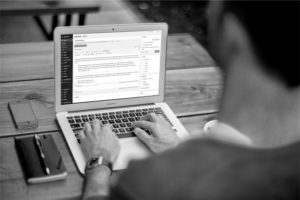 Gone are the days of being able to stuff irrelevant and low quality content with keywords and key phrases related to your market. Nowadays, the quality of your content is more important than ever before. Without having the highest quality content, you are likely not going to be able to rank high within your market. The fact is, search engine providers like Google are making a concerted effort to maximize the value they offer their users and to increase the end user’s experience as a whole. As a result, the websites that focus on the creation of high quality content are the websites that will end up ranking high within the search engines. Without this kind of high quality content, you are bound to lose out on an incredible amount of potential traffic. When it comes to being able to effectively rank as high as possible, you will also want to focus a good amount of time to achieving the highest level of on page optimization for each page on your website. This means that you will want to focus on placing the right keywords within your page titles, putting keywords in your headers, and even placing keywords into your image tags. By doing all of this, you should be able to increase the ease of allowing a search engine crawler be able to detect what your website and web page is about. This is going to increase the likelihood that your website is able to achieve a high ranking within the overall search engine results for the respective keywords that you optimize your web pages for. External links are links that point back to your website. Google and other search engines rely heavily on these kinds of links in order to determine how much of an authority your website or web page is within your respective market. As a result, you will want to attempt to acquire as many external links from reputable and high authoritative sources within your respective market. By being able to do this, you will be relaying your authority to the search engine algorithms and showing them that your website is very much respected within the market and that it is an authority within your niche. This is going to end up allowing your website to achieve a high ranking because it will be associated with other websites with high rankings and because these kinds of external links shows that people actually care about what you post and what is on your website enough to link to it. Local citations are a great start to linking back to your website and sure to get you ranked ahead of your competition. 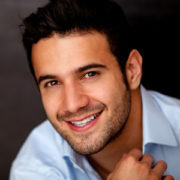 Overall, there is so much to consider when it comes to maximizing your potential to rank well on the search engines. By focusing on implementing all of the tips above, you should be able to effectively dominate the rankings in El Paso Texas SEO. If you are looking to rank fast and get ahead of your competition then your are definitely going to want to contact these guys! By far the best in El Paso! By far the BEST SEO service info I have found in Texas!